BECOME A BUFFALO CIGARS AMBASSADOR! 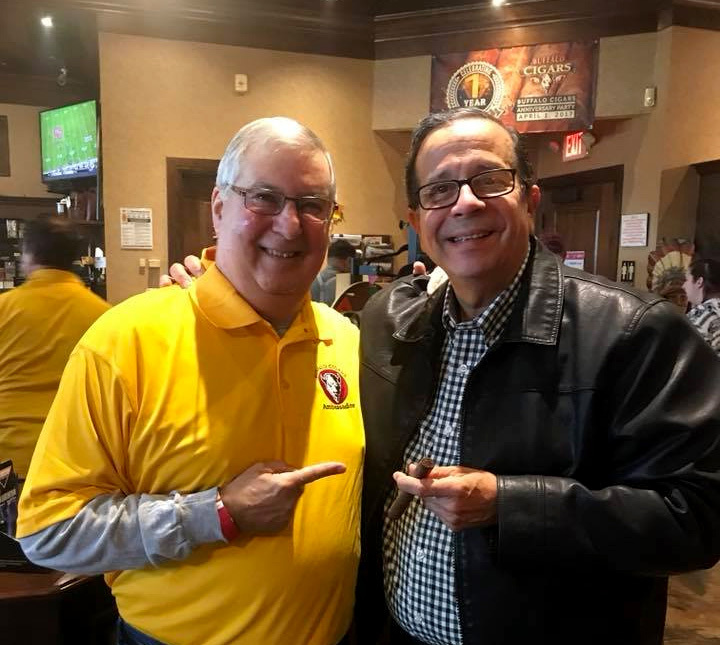 Buffalo Cigars is looking for its most devout and active patrons to serve as exclusive “Buffalo Cigars Ambassadors.” Our hand-selected and approved Ambassador team will serve to generally promote our business and, more specifically, help promote our events and activities. To be clear – not everyone can be a Buffalo Cigar Ambassador. Because of this, we will interview and hand-select those that we feel can best fill the role. We are looking for people that love our store and can wholeheartedly represent us in the community. Those with a large network and/or social media savviness have an advantage, but by all means we hope anyone interested applies to become a Buffalo Cigar Ambassador. Attending exclusive Ambassador-only gatherings at the shop where we will discuss ongoing plans for the store and activity planning and welcome your input – do you have any great ideas for events? We cannot possibly select everyone that applies, so please (we beg you) not to hold it against us if you are not selected. Interested in becoming a Cigar Ambassador?